Brooks Pierce land use and zoning attorneys work with their real estate practice colleagues to provide comprehensive, creative and pragmatic legal counsel relating to all aspects of land use and development - ranging from project assessment and financing to obtaining government authorizations to litigation - as appropriate to achieve clients’ goals. Our clients include real estate investors, developers, lenders, and contractors throughout North Carolina (and beyond) and corporations moving to our state. Our clients vary in size from single-family coastal homeowners to owners and developers of large multi-use projects, residential subdivisions, office complexes and shopping centers. We also represent municipalities in real estate planning and development and land use disputes, including coastal management and shoreline protection issues. Each land use matter is as unique as the property and project involved, and the technical, legal and political issues presented. Our attorneys adeptly engage in the legislative, regulatory, political, and judicial processes that may be required for the approval and completion of real estate development projects. Our attorneys who practice in this area also have experience in an array of related practice areas - such as environmental, real estate, coastal, construction, eminent domain, municipal law and litigation. This breadth and depth allow us to work efficiently and effectively on the myriad of issues presented by any given matter. Brooks Pierce attorneys regularly handle matters involving tax and economic incentives, rezonings, subdivisions, annexations, variances, special use permits, condemnation/eminent domain, and related litigation. We appear before local zoning boards, commissions, councils, boards of adjustment, and other regulatory bodies throughout North Carolina. When appropriate, we litigate related matters in state and federal trial and appellate courts. Representing owners and developers in zoning and special use permit matters in Greensboro, Raleigh, Wilmington and surrounding areas, including matters involving major commercial and industrial facilities. Recent representation of a developer with respect to a $50M mixed-use project in the Triad region, which involved overcoming a protest petition and neighborhood opposition to rezoning, obtaining dismissal of a state court lawsuit, creating a novel transaction structure, and advocating for reinterpretation of a stormwater ordinance. Recent representation of an owner and developer with respect to advocating for reinterpretation of an environmental rule and its application to a property in the Triad region. The result was a 50% increase in land deemed eligible for development. Obtaining zoning and environmental variances for clients throughout the state, including in the Triangle and Triad, as well as on the coast in relation to CAMA permitting. Recent representation of a developer relating to incentive payments and the negotiation of easement and access rights for major development of a downtown Greensboro property. 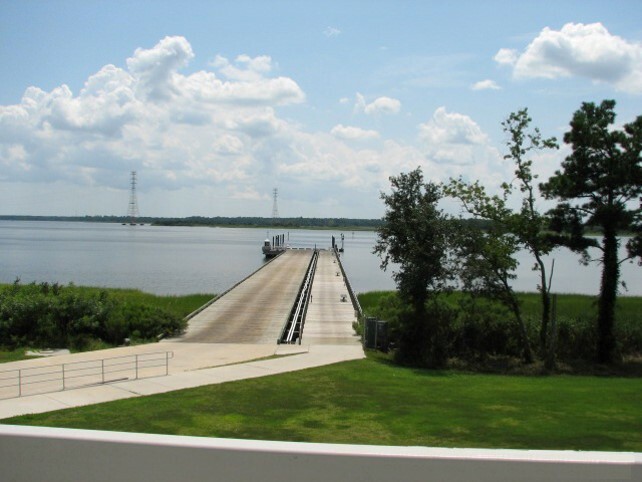 Assisting a coastal marina owner to obtain a variance to construct 935’ boat launch and pedestrian pier extension.